Our native grasses are adapted to our local environments in the West to offer superior drought tolerance. 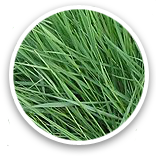 We are excited to offer these new grasses in sod form. Cool-season bentgrass, a rich, deep green color, and withstands light foot traffic. Requires half the water of customary turf & half the mowing and maintenance. 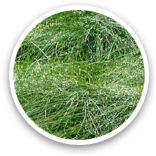 With minimal maintenance, this adaptable drought tolerant grass can be maintained as a lawn or left unmowed. Perfect for natural landscapes, and slope stabilization.